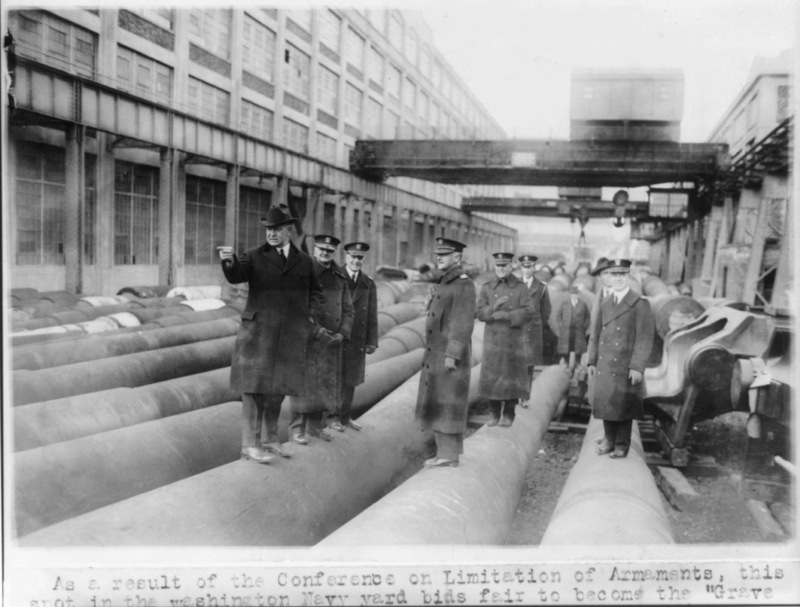 Operational and Building Data: Laid down by New York Navy Yard 1 November 1920. 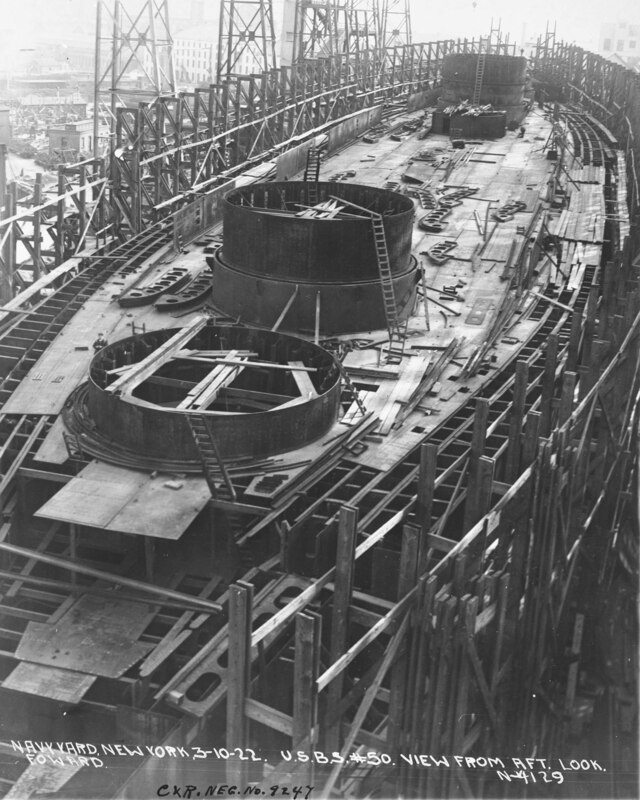 Suspended 8 February 1922 when 34.7% complete; cancelled under the Washington Treaty 17 August 1922; stricken 25 October 1923 and subsequently scrapped. 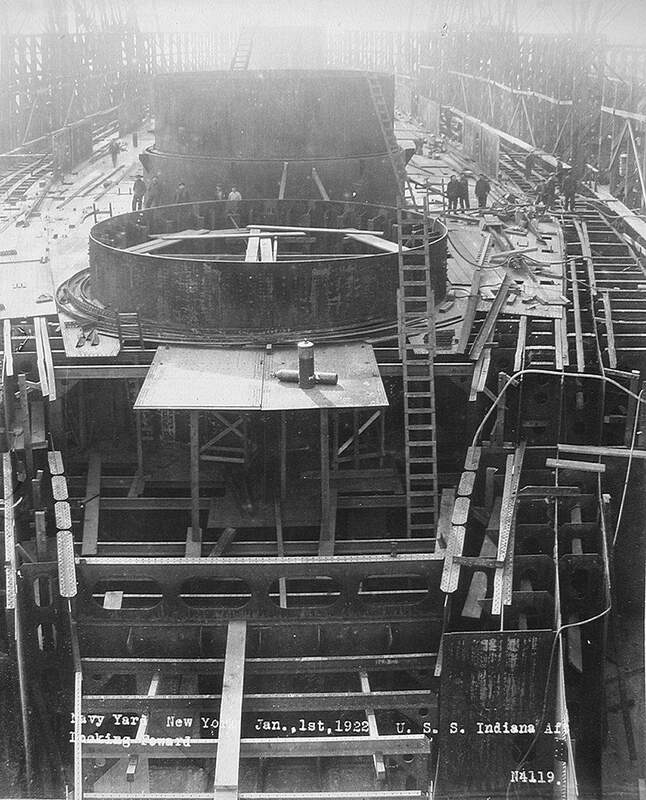 218k View of the Indiana (BB-50) aft looking forward at the New York Navy Yard, Brooklyn, New York, 1 January 1922. Note the size of the turret casings next to the men standing behind them. Photo # 19-N-4119 from the National Archives & Record Administration (NARA), Record Group (RG-19-N, Box 3). Courtesy of Dan Treadwell. 203k New York Navy Yard, Brooklyn, New York, 10 March 1922. 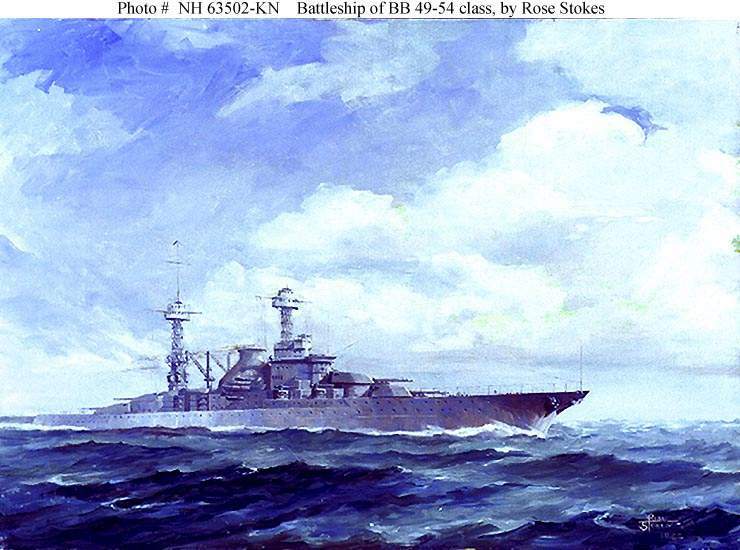 View from forward of the Indiana (BB-50) looking aft. Photo # 19-N-4130 from the National Archives & Record Administration (NARA),Record Group (RG-19-N, Box 3). Courtesy of Dan Treadwell. 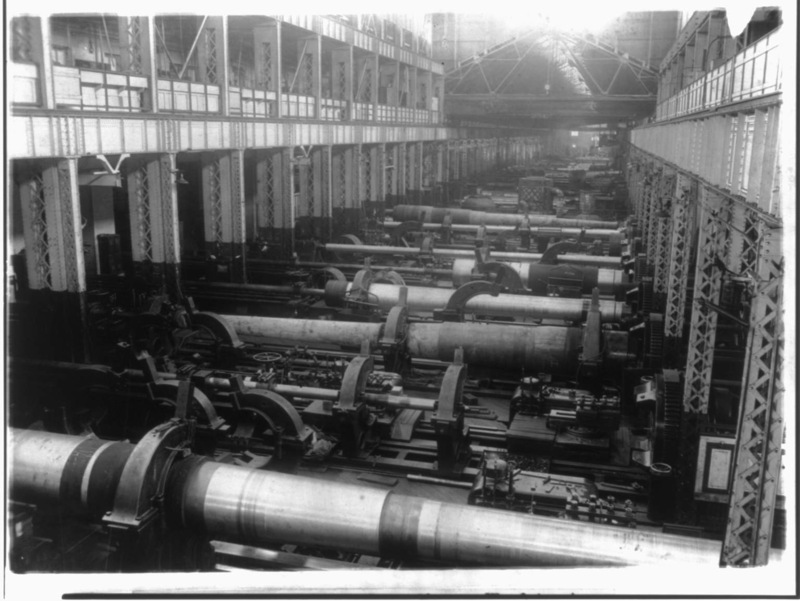 197k New York Navy Yard, Brooklyn, New York, 10 March 1922. 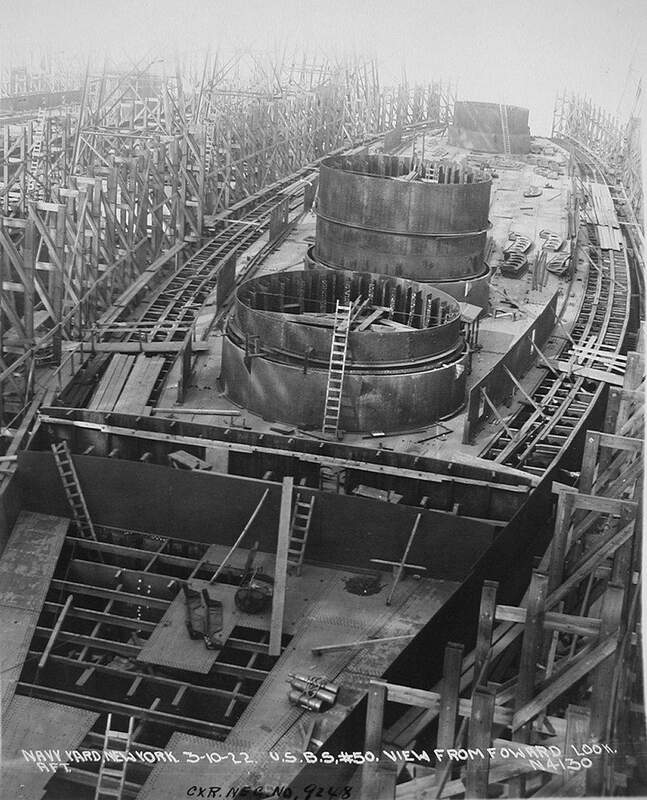 View from 3rd turret of the Indiana (BB-50) looking aft. Photo # 19-N-4128 from the National Archives & Record Administration (NARA), Record Group (RG-19-N, Box 3). Courtesy of Dan Treadwell. 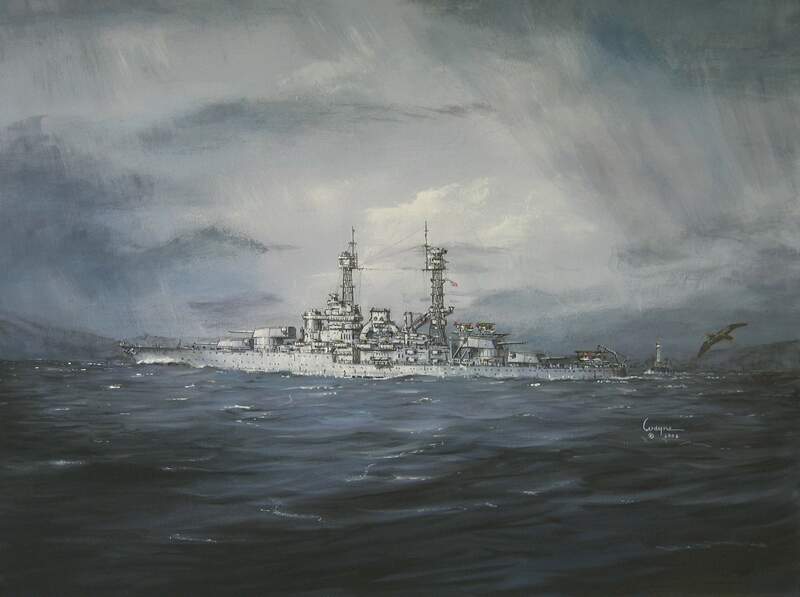 64k Artist's sketch of this class of ship underway. Painting by Rose Stokes, 1922. 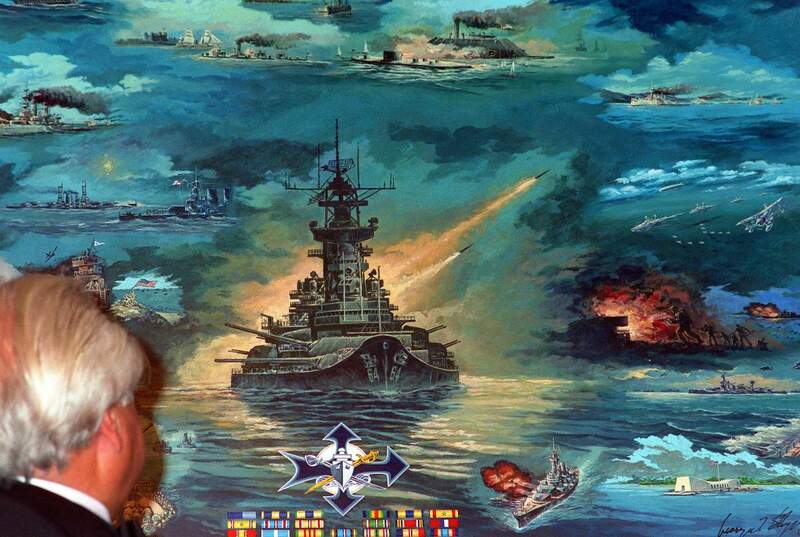 USN Historical Center # NH 63502-KN. 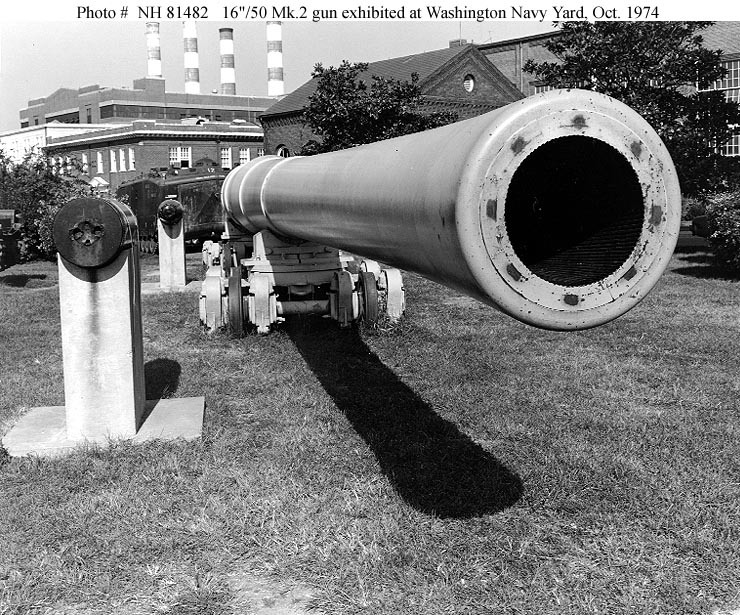 161k On display in East Willard Park, Washington Navy Yard, D.C., in October 1974. 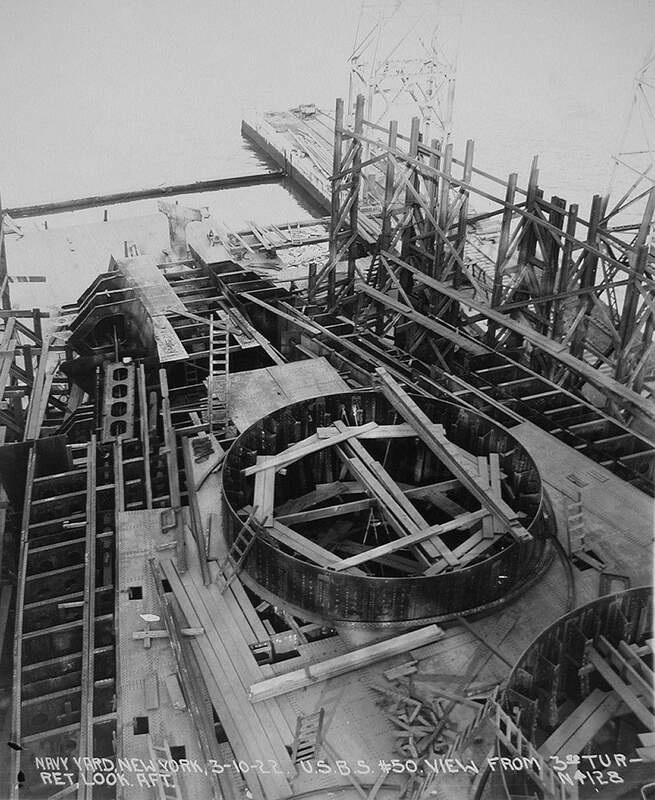 This gun is Number 111, built at the Washington Navy Yard in 1922 for planned installation on the abortive South Dakota class (BB-49 /54) battleships and Lexington (CC-1-6) class battle cruisers. Note railway trucks supporting the gun barrel. The two sixteen-inch projectiles displayed alongside the gun are inert shells fired by New Jersey (BB-62) into San Clemente Island, California, during shore bombardment practice in 1968. USN Historical Center # NH 81481. 181k Sixteen-inch, 50 Caliber, Mark 2, Mod. 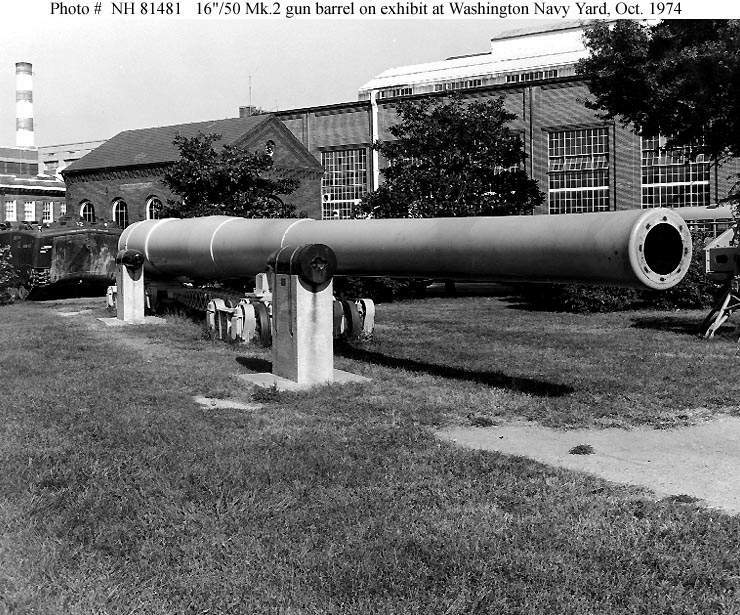 1 Gun Barrel On display in East Willard Park, Washington Navy Yard, D.C., in October 1974. 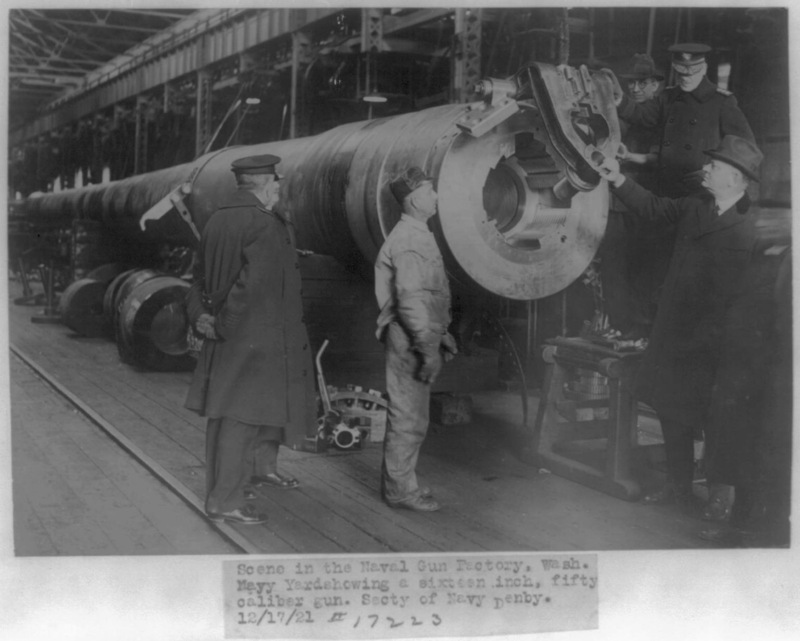 This gun is Number 111, built at the Washington Navy Yard in 1922 for planned installation on the abortive South Dakota class (BB-49 /54) battleships and Lexington (CC-1-6) class battle cruisers. 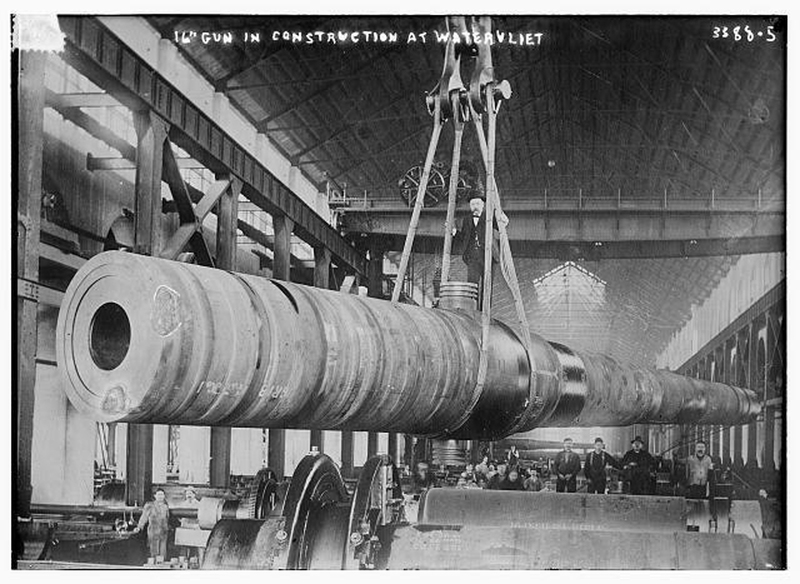 Note railway trucks supporting the gun barrel. The two sixteen-inch projectiles displayed alongside the gun are inert shells fired by New Jersey (BB-62) into San Clemente Island, California, during shore bombardment practice in 1968. USN Historical Center # NH 81482.